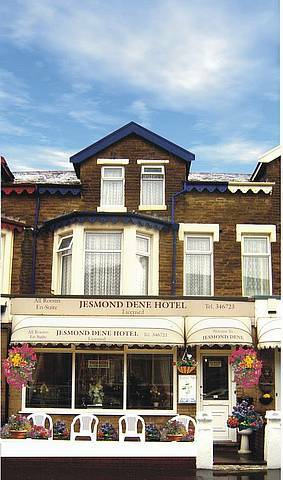 Ron & Di welcome you to their spotless family run hotel, The Jesmond Dene at South Pier Blackpool. Offering the warmest of welcomes, our hotel has a relaxing atmosphere that our guests adore time after time. We are ideally situated just one minute from the Promenade in between the Tower and Pleasure Beach and moments away from other local attractions including the Sandcastle Waterworld, Theatres, Winter Gardens, the Illuminations and social clubs. The Jesmond Dene hotel bedrooms are all en-suite and decorated and furnished to very high standards. 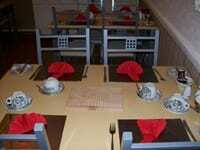 Colour TVs, DVD players, fresh towels, soap and tea/coffee making facilities are found in each room. Hair dryers, iron and ironing boards are available on request from reception. For breakfast, we offer as as part of all our guest boarding a traditional full English breakfast which are served daily in our separate dining room. You can also choose from a select range of traditional cereals along with a choice of fruit juice and every ingredient you need to make the perfect full breakfast. Tea and coffee is served with all breakfasts. Our comfortable Sun Lounge and TV room offer ideal places to relax and take in the atmosphere. 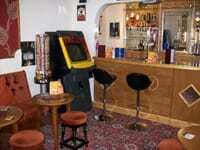 Or why not enjoy your favourite tipple in our cosy, pleasant bar with new found friends. For children, we have a dedicated computer room where they can email friends or just surf the web. Adjacent to the bar, you can keep an eye on your children or pass the time in there with them. Please call us for further details today. Place Categories: South Pier and South Pier Families.